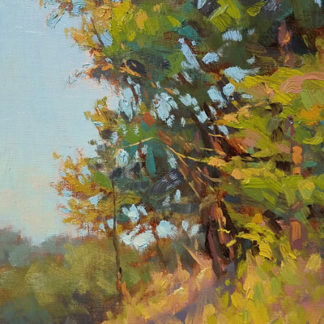 Although the average person tends to favor trees with full foliage, I (and many artists!) 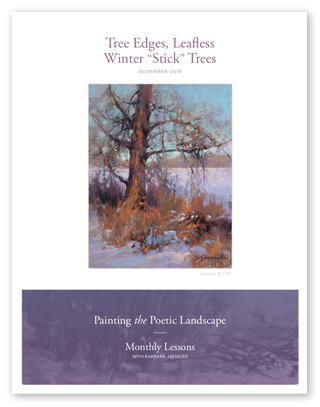 find that leafless trees provide a wonderful opportunity for the artist to create a multitude of beautiful edges. 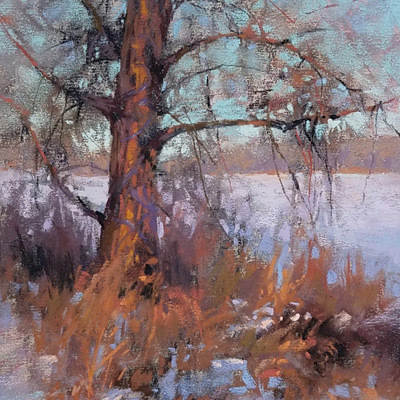 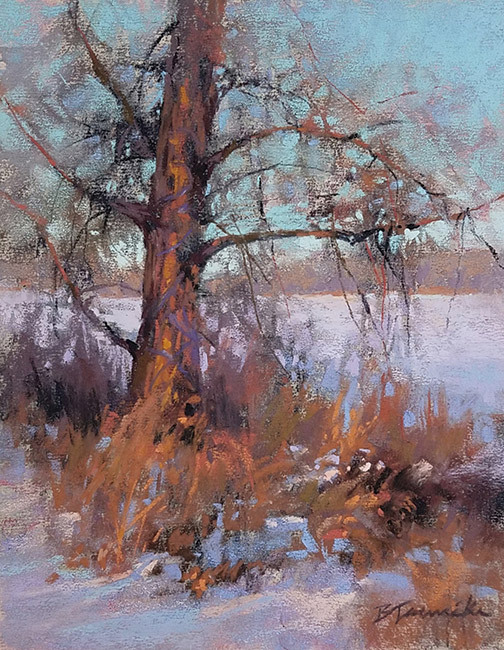 For an impressionist approach, learning how to imply a mass of tiny leafless branches, rather than rendering lots of little lines, can produce a clear, simplified visual statement that allows for impact in the few selected areas where edges are purposely defined. 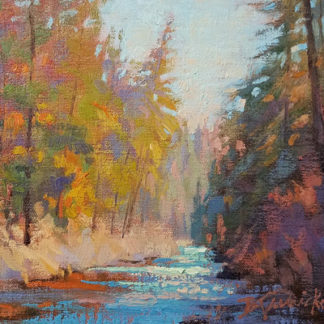 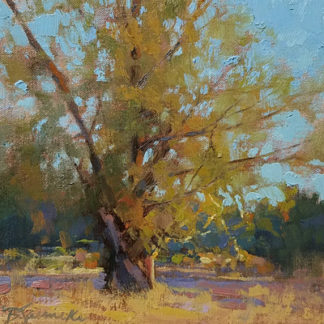 In this lesson, we’ll take an intensive look at this subject matter, as I demonstrate in pastel how to plan out the editing for a busy mass of tiny branches, and what decisions to make at each stage of the progression so that the subject will remain well edited, yet hold the viewer’s attention in all the right places.